How has Technology Changed the Supply Chain? Over the years technology has changed the way we live and the way our businesses operate. Specifically for supply chains, technology has changed the complete structure in which we work, from internal communications to physical processes. What are some of the other changes and benefits technology has brought to the supply chain? Increasingly, businesses have become digitally connected including our customers. With development in technology enhancing delivery and visibility for customers, their expectations and needs have increased with regards to transparency, delivery times and response times. Due to technology, your supply chain is more transparent than ever before. Twenty to thirty years ago, it was fairly easy to hide interruption errors, however nowadays; your customer has full visibility of the process in which their product undertakes. On average, customers used to expect things at a much slower pace in comparisons to today's expectations. Technology has enabled customers to receive instant answers to their queries and delivery status, through delivery and tracking systems. This feature has slowly transformed from a 'nice to have' into a necessary customer offering from businesses. Technology has led the way, enabling supply chain software to become faster and more efficient. With technology, through warehouse and transport systems, businesses are able to provide data-capture, improve labour management, monitor resource and reduce stock losses with real time stock checking. With full visibility across your supply chain, potential errors, risks and opportunities are picked up faster and therefore create greater efficiency and the ability to complete processes quicker. Frequent communication creates improved operations. The ability to communicate in real time helps to form a unified business, enabling fast development and a wide understanding through each business unit on a daily basis. Technology has made this possible; changing the supply chain for the better, software enables teams to input vital data that is accessible to all necessary teams. Software has greatly improved communication for the supply chain creating not just a faster way to communicate, but a more efficient accurate way of communicating essential information. Integrating processes across your operations saves time and minimizes risk factors such as man-made manual mistakes. Technology has enabled warehousing and transport businesses to integrate their operations, for example OBSL's CALIDUS Total Logistics gives companies full visibility across their supply chain from inventory checking in warehouses to transport management and tracking. Technology has evolved allowing software elements to greatly benefit companies across the industry. Software such as CALIDUS TMS has benefitted transport businesses by aiding them with the capability to optimise driver miles, reduce empty running miles and capture accurate information. Specific operations require varying levels of optimisation and planning, all of which are offered comprehensively within CALIDUS TMS. Pallet and equipment tracking used to be a manual task with high losses, technology has provided a solution, using CALIDUS TMS/WMS businesses can capture quantity and types of equipment received and despatched/delivered all through the software system. 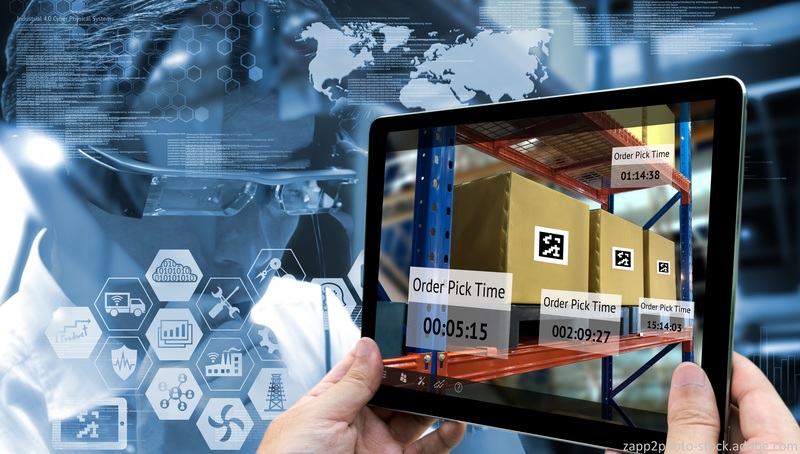 Technology has evolved over time to extensively change the supply chain, software for warehousing and transport has eliminated manual tasks and enhanced processes across operations. Have you ever considered integrating these? Click here to read the compelling reasons our customers have bought an integrated system.